Celebrating the ocean and the summer continues in Lisbon with a "fish" paper kite show at Belem Park for the "Festival dos Oceanos". 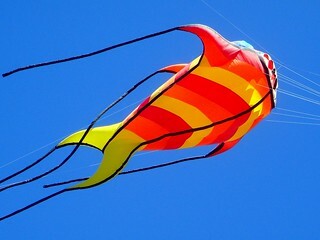 All kinds of "sea kites" flew away in the blue sky, music and fun for all as well as many exhibitions, conferences, etc in this the International Year of the Planet Earth. To all my contacts sorry if I dont comment on all still on and off.